There is a certain indescribable awesomeness to waterfalls that make them one of the most memorable natural sights to see. 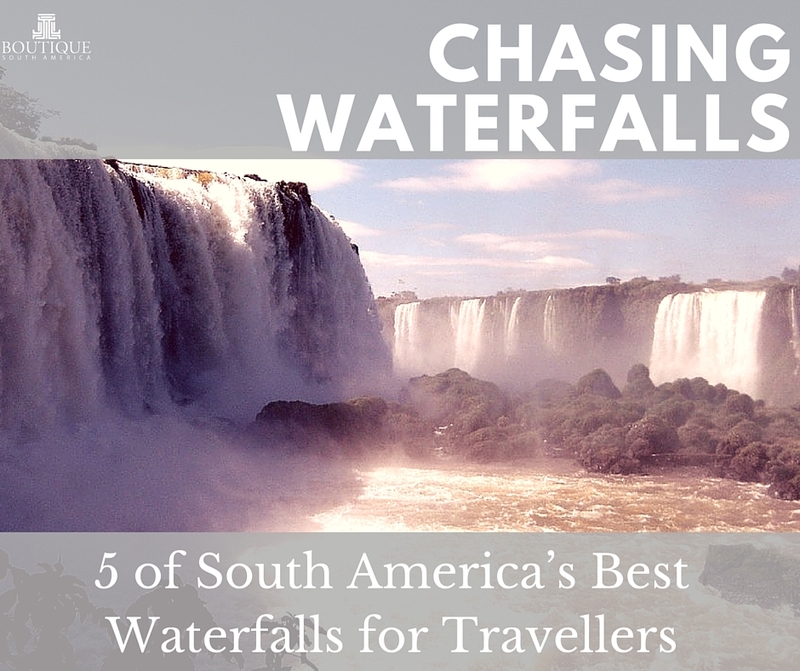 The thundering falls and natural graceful beauty of running water is often breathtaking and can’t help but move you and South America boasts some of the most epic and most beautiful waterfalls in the whole world. Here are five of the best waterfalls South America has to offer. We apologise if this list could make finalising your bucket list that bit more difficult. South America boasts some of the most epic and most beautiful waterfalls in the whole world. With the distinction of being the tallest waterfall on earth, Angel Falls is one of the most spectacular of the waterfalls South America lays claim to. From on top of a tabletop mountain, blanketed in thick Venezuelan rainforest, a river of water rushes from seemingly nowhere to plunge 979m down. The effect is mysterious and otherworldly once-in-a-lifetime view, in part because of how remote it is. There is no road access to Angel Falls, so most visitors come by boat and stay overnight in a campsite at the base of the falls. 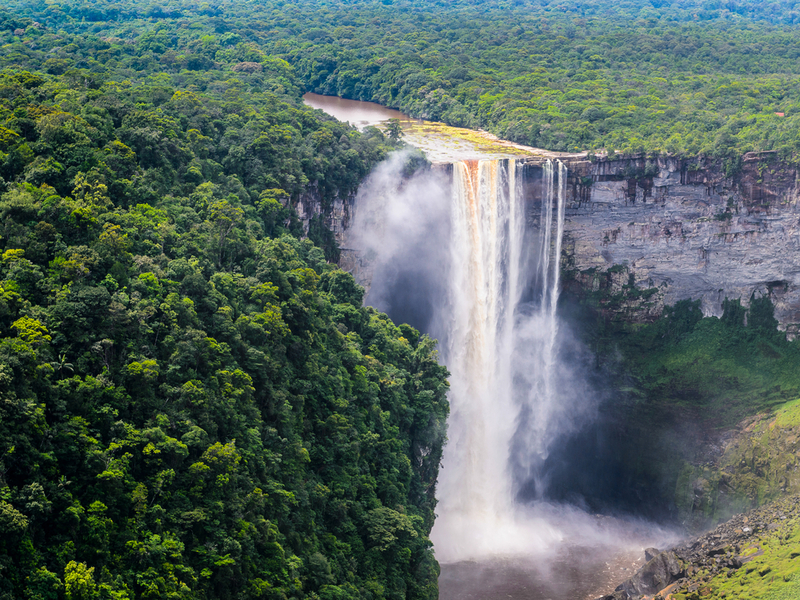 You may not have heard of Kaieteur Falls or thought about travel to Guyana, but as a natural spectacle it is definitely one worth remembering. Deep in the unspoiled rain forests of Guyana, the 100m wide Potaro River drops down a 250m cliff, making Kaieteur Falls, the tallest permanent single-drop waterfall in the world. 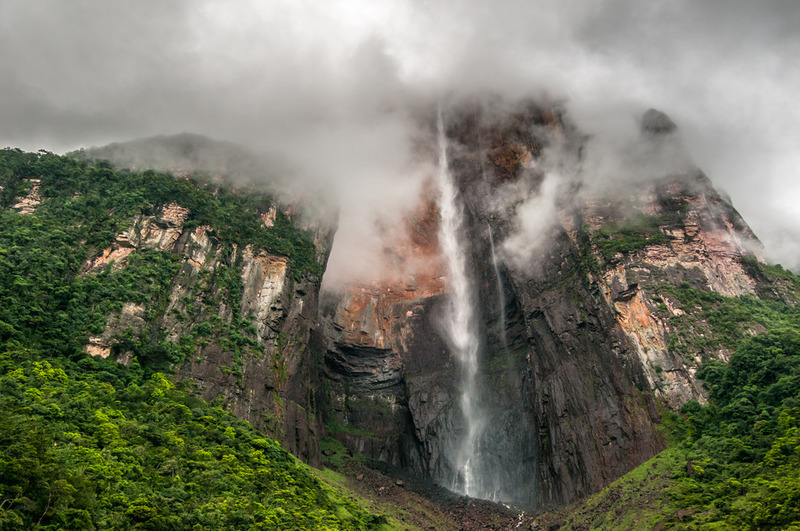 This natural wonder is remote and not as crowded with tourists as some of the other South American falls, but the hike up to the top affords an up-close experience with untouched wilderness of Guyana. The easiest access to the falls is a day trip from the capital Georgetown by twin-propeller plane. 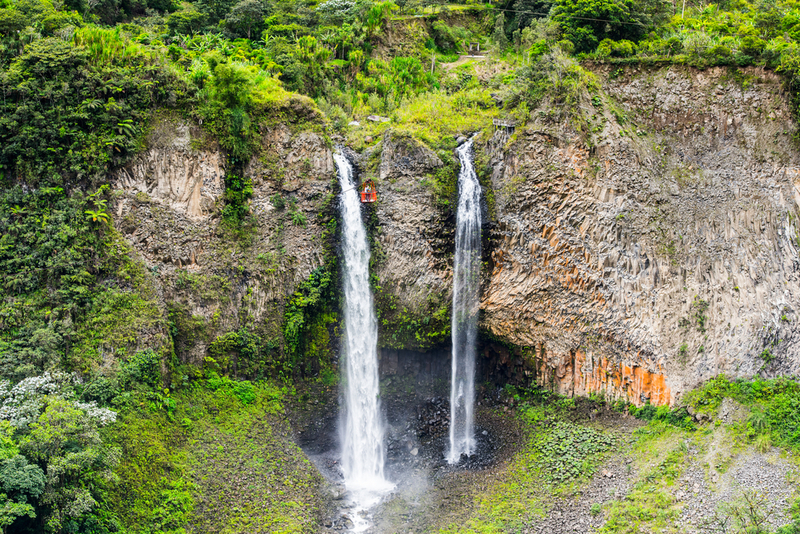 Known as the adventure capital of Ecuador, Baňos is surrounded by more than 60 waterfalls cascading off the sides of a volcano into the countryside. While some can be seen from the city centre, there is a 10 mile Waterfall Route, or the Ruta de las Cascada, where you will see views of almost a dozen waterfalls. Along the route, cable cars and zip-lines provide ways to get even closer to the falls for thrill-seekers. Baños is located some 3 hours driving from the capital of Ecuador, Quito and can be explored as a day trip or you can choose to stay here or along the avenue of the volcanoes. Though not as tall as some of the other falls on the list, Salto Grande is certainly one of the more beautiful waterfalls South America has to offer simply because of its picturesque setting. Situated within the Torres del Paine National Park, Salto Grande is fed by melting glacial waters that give the waters a pale blue colour. The waterfalls are thundering and powerful, but the real appeal is the backdrop; where in the distance, the horns of Paine rise dramatically into the sky. 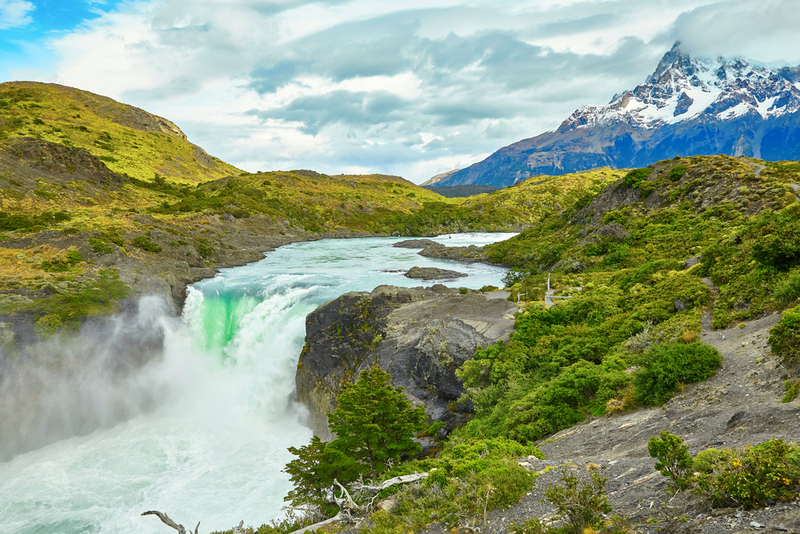 Salto Grande can be explored as part of your experience of Torres del Paine National Park in Chilean Patagonia, where you can stay in all inclusive lodge like Las Torres or even in luxury glamping style option such as Patagonia Camp. Designated by UNESCO as a World Heritage Area in 1986, Iguazu Falls is so overwhelmingly powerful that it is easy to see why. Spanning nearly 3 kms and creating a deafening roar, Iguazu Falls is not only one of the most impressive waterfalls South America offer, but has to be one of the most awe-inspiring natural sites in the entire world. Iguazu (also referred to as Iguassu) is actually a network of 275 different waterfalls that unleash 1000 cubic meters of water per second. Catwalks and a series of platforms allow visitors stunning (but misty) views. Fly into Iguazu Falls (IGR) on the Argentinean side from Buenos Aires or the Brazilian side (IGU) from a number of airports in Brazil such as Sao Paolo or Rio de Janeiro. 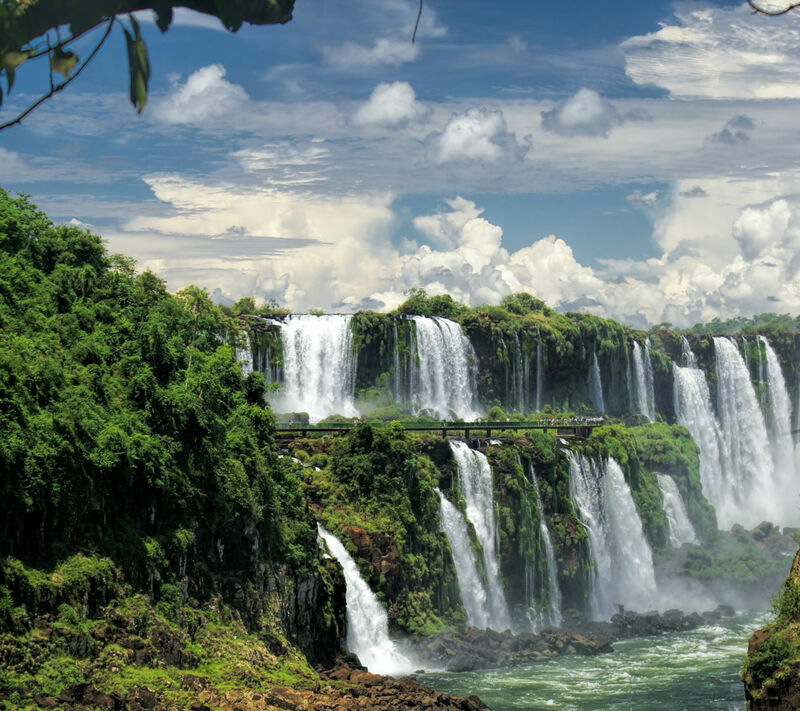 Read some 20 Amazing Iguazu Falls Facts to inspire your travels here. We apologise if this list could make finalising your bucket list that bit more difficult. Thank you for this post. That Angel Falls, Venezuela is a wonderful water fall, i like the way its look like wave. I could not even believed that is a water fall before. And i love the picture of Baňos Waterfalls, Ecuador, it looks like twins.